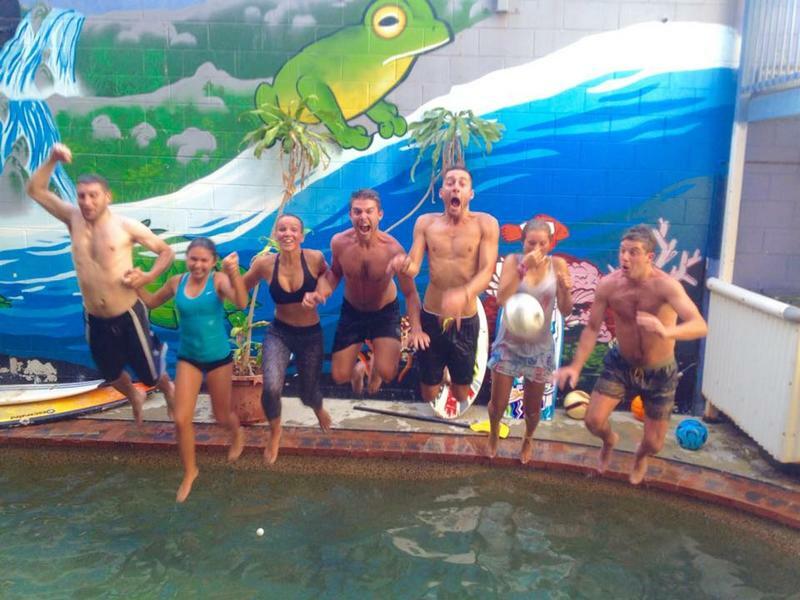 Flying Monkey Backpackers is located right in the centre of Cairns and opposite the famous Esplanade Lagoon where you can throw down a towel and enjoy the sun or go for a refreshing swim. Room for two... couples, lovers and friends... we are a small, well located hostel with mainly private rooms. With a free airport pick-up, free light breakfast, free dinner, free WiFi plus being only a few minutes walk from the Reef Terminal for Great Barrier Reef tours, we're the perfect place to stay while exploring the Far North. Our in-house tour booking service charges no booking fees and has great deals for our guests. Also we have some great activities every day like Movie Monday, (Free) Pizza Wednesday, Beerpong Friday and more! 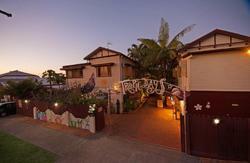 You will also be staying at the safest hostel in Cairns. Our hostel has only one entry, and is locked to outsiders. By night, one of our staff patrols the property to ensure your security. 89 The Esplanade Cairns, between the corners of Aplin and Sheilds St. Flying Monkey backpackers is set above the Gloria Jeans coffee shop. 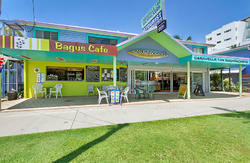 We are just minutes walk from the Reef terminal, bus station and Greyhound bustop. Arriving by plane? Between 8am and 8pm you can get your free shuttle to the hostel from bus bay number 6 at the airport.